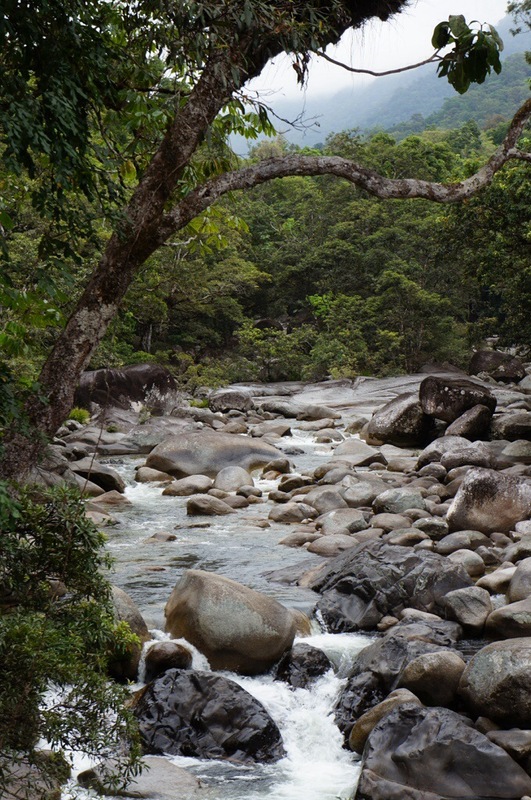 A cooling retreat from the 32oC heat in downtown Port Douglas, Mossman Gorge offers rainforest walks and a waterhole for swimming. Not many people opted for the 2km circuit walk up the side of the gorge down to the creek and back up again. The earthy smells of fertile soil, decaying vegetation and unpolluted air was intoxicating. Are you there right now? You know we had 37 in Sydney a couple of days!! hotter than Port Douglas – that’s crazy! That is just glorious, Robert… I can just imagine it….